IAM Looking Back is a project designed to document our origins and celebrate the people whose accomplishments and dedication have made the moving industry and the Association what they are today. YOU are an important part of the story, and we need your help to complete it. We are beginning this project by sifting through thousands of photos from our past. Most of them have no notes, and there are many members who we can’t identify. And we don’t know how they contributed to our legacy. We’re hoping that you can tell us about these people; who they are, where they worked, and what they accomplished. The video introduction below was featured in the Looking Back exhibit booth at IAM’s 2016 Annual Meeting. Many members visited our booth to share their recollections and stories, and we hope you will continue to look back with us and help us tell their story—YOUR story—by joining the IAM Looking Back Facebook group and sharing your memories and insights with us all. 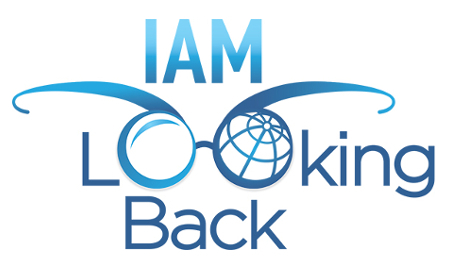 Join the IAM Looking Back group on Facebook today! We hope that documenting the history of the organization will educate the members on the individuals who played key roles in the Association over the last five decades, as well as show how the Association has influenced the DoD and their programs and the global moving industry in general through our leadership in advocacy for the moving industry. We hope you will join us in this monumental project, and we look forward to your contribution!